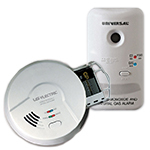 The Universal Security Store offers a great way to raise fire and carbon monoxide detection awareness, while also raising money for your organization, group or community. 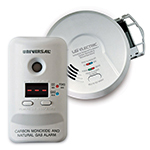 If you believe that our Smoke Alarm, Carbon Monoxide Alarm or Combination Alarm lines would be a good fit for your fundraising audience, we can structure a simple program so that your organization will receive a percentage of the gross sales of the products you select for your fundraiser! All fundraising sales are done through our online platform, where we will create a dedicated page specifically for your fundraising audience. We will also provide marketing material that will show your fundraising group how to use our user friendly online ordering system to ensure all your groups orders are attached to your fundraiser. If you think you might be interested in this program, simply fill out the form below, and one of our fundraising program directors will follow up with you. Some simple questions to help us get started would be: Your goal amount for this fundraising campaign to consider it a success? Your estimated sales audience size? 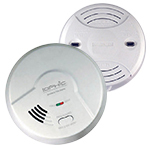 Your preferred start and end date for the fundraising campaign? Tell us more about your organizaion and what products you are interested in.